You can use vinegar to clean hardwood floors. Vinegar is inexpensive and nontoxic. It's a cheap homemaker’s best-kept secret. The next time you're shopping, stop in the grocery aisle and compare the many types of vinegar available. Vinegar is made from the fermentation of alcohol products. 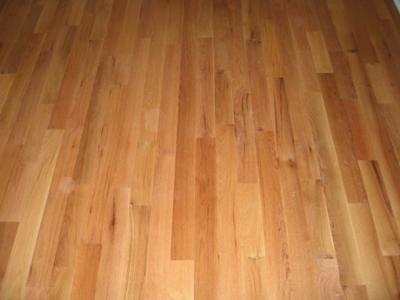 The result is an acidic liquid that is used to clean hardwood floors. If using vinegar to clean hardwood floors, choose white vinegar. Not only is it the least expensive, has no color, and will not stain the floors. Vinegar is safe and nontoxic, and there is no need to rinse it from the floor. The floor should have a nice shine to it once it's mopped.